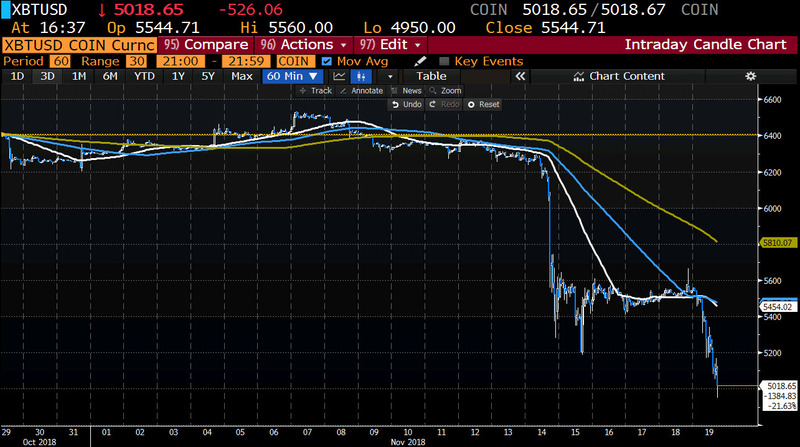 The price of bitcoin move below the $5000 level for the 1st time since October 2017. The low on Coinbase reached $4950 and bounced. The price has moved back to $5015. That is still down $527 on the day. On Sunday, the price corrected above the 100 hour MA (blue line) but earlier today, the price moved bellow that MA and buyers quickly turned to sellers. 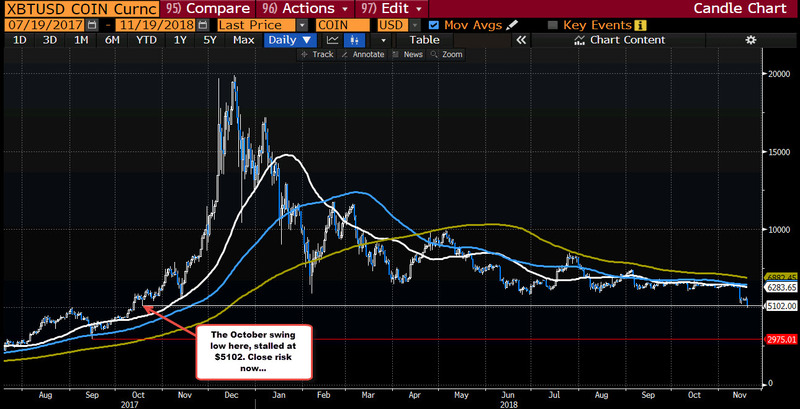 Looking at the daily chart below, the price moved sharply lower last week after buyers continued to fail on rallies toward the 100 day MA (blue line in the chart below). The move lower today moved below the October 17 low at $5102. That is now a close risk level for shorts. See Adam's earlier post HERE.